By default, all Web Interfaces are available on all web servers where Adaxes Web Interface is installed. However, you may want to restrict access to a Web Interface and disable it on specific web servers. For example, you may not want the Web Interface for Administrators to be available on the web servers running in the DMZ. 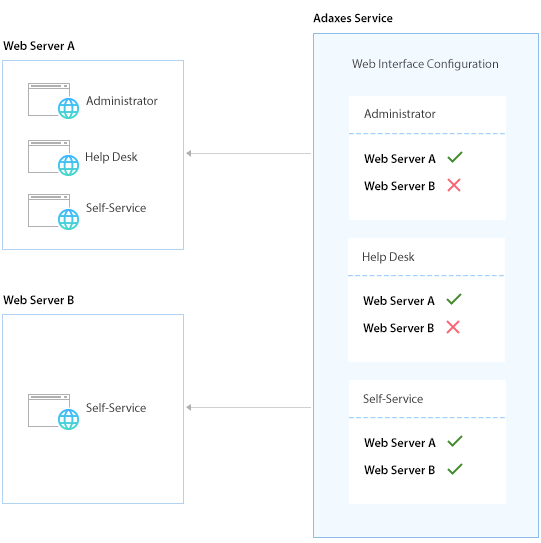 To specify which Web Interfaces are available on a particular web server, you need to allow or deny the web server in the configuration settings of each Web Interface. Open Adaxes Web Interface Configurator. On a computer, where Web Interface Configurator is installed, open the Start menu. 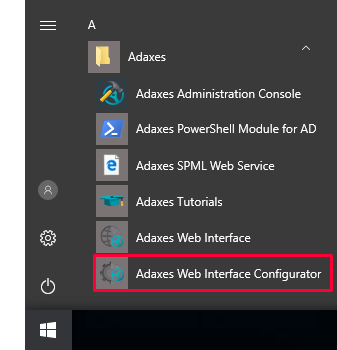 On the Start menu, select Adaxes Web Interface Configurator. The permissions to configure the Web Interface are delegated via Security Roles. By default, only Service Administrators have the appropriate rights. 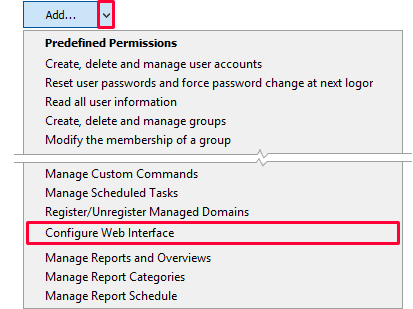 To enable other users to configure the Web Interface, grant them the corresponding permissions. In Adaxes Administration Console, right-click your Adaxes service, point to New and click Security Role. Enter a name for the new Security Role and click Next. 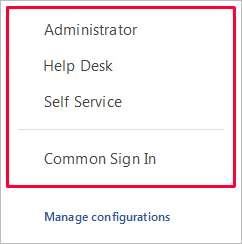 On the Permissions page, click the arrow inside the Add button and select Configure Web Interface. Click Next and follow the steps in the wizard. In the top left corner, select the Web Interface you want to configure. 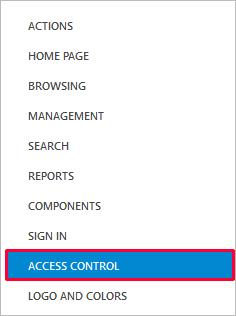 In the left navigation menu, click Access Control. In the Web Sites section, configure the list of web servers which you want to allow or deny the Web Interface on. 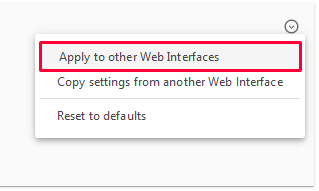 The settings in a section can be applied to other Web Interfaces. For this purpose, in the top right corner of the section, click the down arrow button and choose Apply to other Web Interfaces.